Believe it or not, Halloween is almost here—the perfect time to dress up, embrace your inner werewolf, and get scared. We love this holiday because, in addition to finding costumes for yourself, you can also go wild with home decor. Take your love for everything creepy to the next level this year with some seriously spooky windows. We’ve compiled this list of 10 of the most creative DIY window decorations to give your house a creative and unique makeover for Halloween. While these particular window treatments are slightly morbid, we love the idea of handmade spooky silhouette curtains made from nothing more than white fabric and black paint. 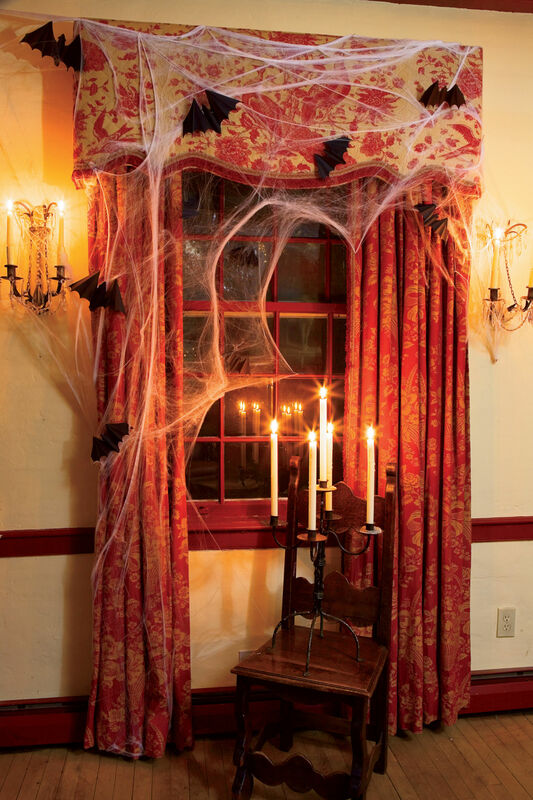 These curtains are perfect for haunted houses and the Halloween obsessed, and are sure to terrify just about everyone. 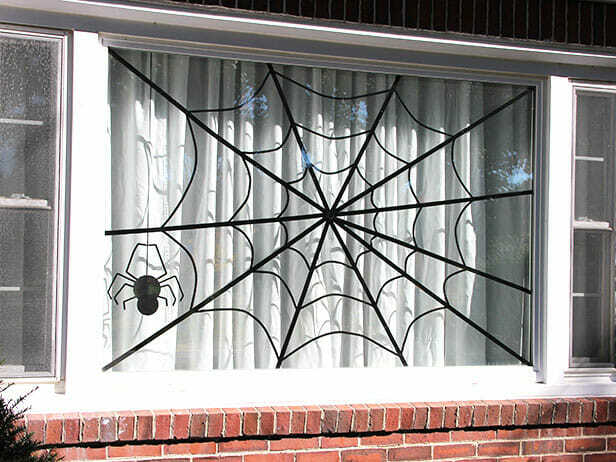 Nothing says Halloween like spiderweb-filled windows. Make your own inexpensive cobwebs from black yarn or cotton wool and tape, adding plastic or rubber spiders to complete the look. This DIY couldn’t be easier, and it gives your windows a creepy finish that even the youngest trick-or-treaters will remember and love. If you’re feeling particularly artistic, design and cut out your own paper window silhouettes from black poster paper. We’ve seen some pretty grotesque designs out there, but you can adjust the scare factor to suit your personal tastes. Choose anything from black cats and owls to ghouls and gremlins; the only limit here is your imagination! Are you hosting a zombie-themed Halloween party this year? Or do you just love all things macabre? Faux-blood-spattered window coverings made from wax paper and red paint are very easily achieved and give your windows a gross and grim look that no one will forget in a hurry. We particularly love the Walking Dead-inspired bloody handprint! 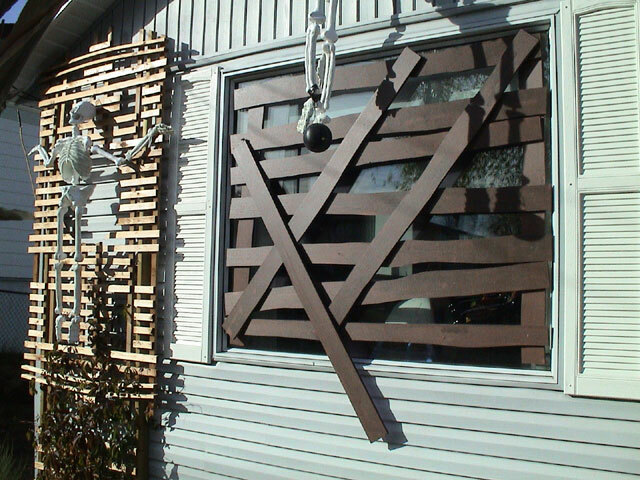 Another decorative option for fans of zombie films is the boarded window look. Use real wood slabs or create your own boards from painted and decorated foam or cardboard and complete the look with a warning sign to let passers-by know that your home is not zombie free. 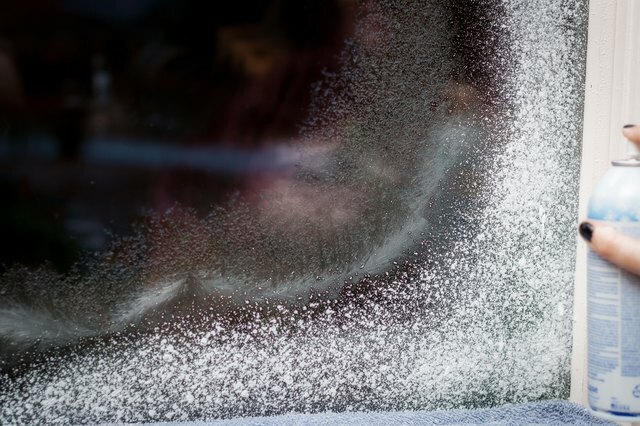 If you love decorating your windows with spray on snow at Christmas time, then break out your spray cans early this year and cover your windows with the white frosty paint and rub out words in your windows to warn trick-or-treaters that your house is haunted. Choose phrases such as “Do Not Enter” or “Dead Inside” to add to the scare factor, but remember to keep it clean and not too scary if you have little ones coming over. Get crafty with the whole family this Halloween by painting your own spooky scene on your windows with window paints or markers. Add as much or as little detail as you like and let the kids go wild creating a scary atmosphere that can be seen from the road. Candlelight is essential if you want your home to have a dark and dreary look this Halloween, so placing a few flickering candles in your windows will help to set the mood. Use real candles if you want, and make sure they’re enclosed in lanterns or otherwise safely away from flammables and fabrics. Otherwise, pick up a few LED candles from the dollar store to create the same creepy effect. 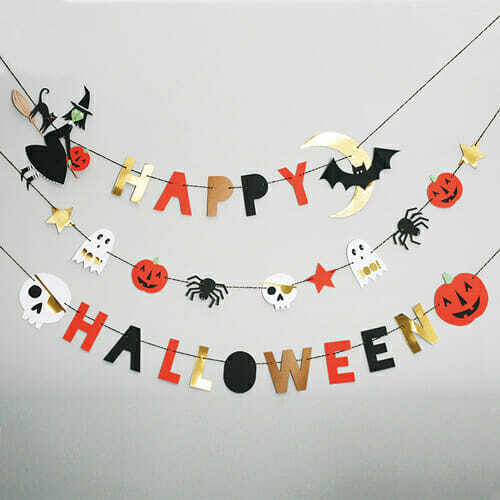 Families with young children and those who aren’t into the darker side of Halloween can still embrace window decorations with an easy DIY garland or banner made from card or fabric. Simply cut, decorate, and hang your bunting with string or twine and place it in your front window to complete this look. 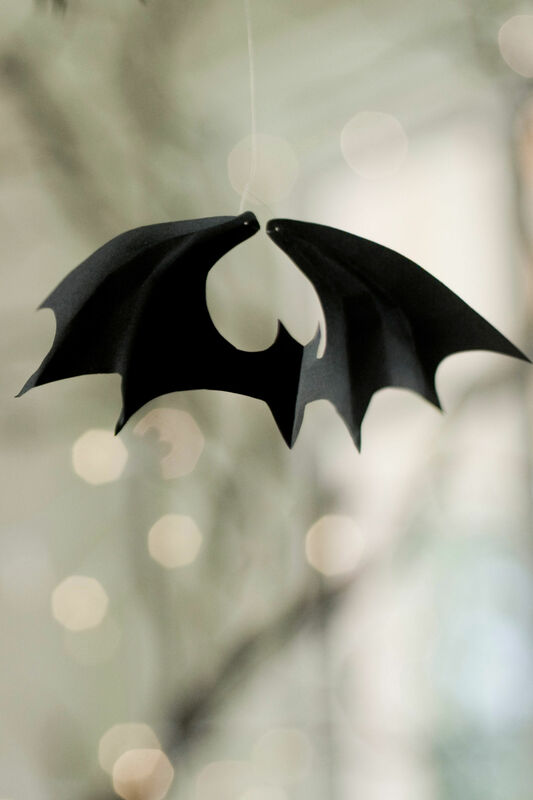 More stylish than scary, these paper cutout bats look incredible in windows, doorways, or just about anywhere else in your home this Halloween. Hang just a few from fishing line or string, or create a whole colony for an eerie feel. We particularly love this design if you’re throwing a fancy black and white themed party, since it’s not too over the top or hokey. What kind of spooky ways have you dressed up your windows for Halloween? Share your tips and ideas with us in the comments below!